It’s Dominican cigarmaking meets Italian high fashion. Arturo Fuente Cigars has teamed up with Italian fashion house Stefano Ricci to create a new line of limited-edition cigars and cigar accessories—including a special Fuente Fuente OpusX that will be difficult for most cigar smokers to get their hands on. The two companies formally unveiled their partnership last night at the Stefano Ricci flagship store in Miami. So far, the only cigar accessory that has been announced is the OpusX by Stefano Ricci travel humidor. 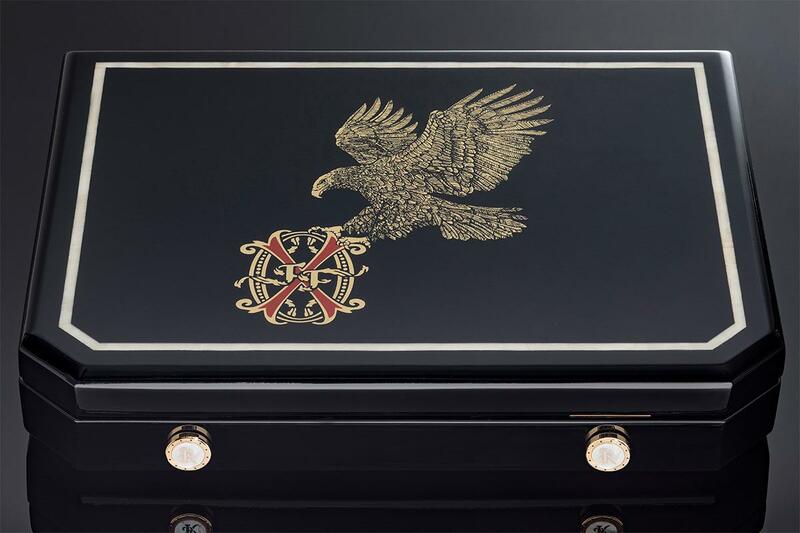 The compact cigar storage unit is lined with cedar and the exterior features an Australian Mother of Pearl inlay and black lacquered finish. It has eight cigar slots, a hygrometer and a humidification device. The inside lid is stamped with the Fuente Fuente OpusX insignia with the words “By Stefano Ricci” beneath it. The outter graphic depicts the Stefano Ricci signature eagle grasping the OpusX logo with its claws. The exterior of the OpusX by Stefano Ricci travel humidor features an Australian Mother of Pearl inlay and black lacquered finish. The price of the OpusX by Stefano Ricci travel humidor is yet to be determined. Also debuting last night were the limited-edition Fuente Fuente OpusX Stefano Ricci cigars. The smokes are straight-sided parejos, measuring 7 inches by 52 ring gauge, that wear a special secondary band with the Stefano Ricci crest. 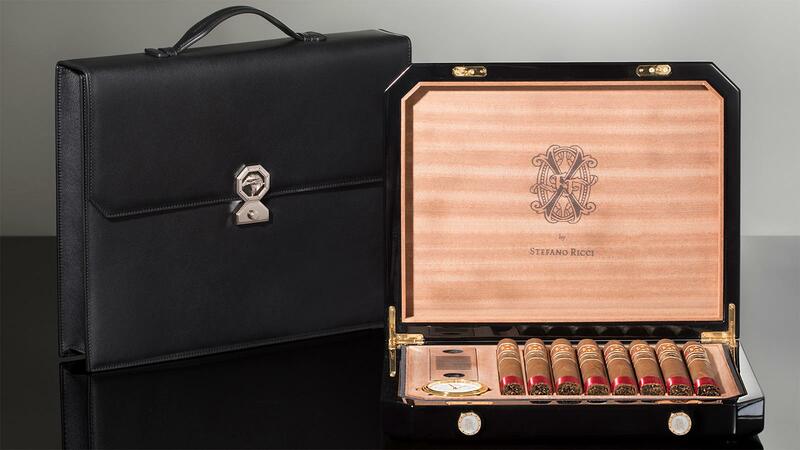 The OpusX cigars will not officially be for sale—instead, Stefano Ricci intends to present them to “top clients who buy an OpusX by Stefano Ricci travel humidor,” or other humidors sold by the Italian fashion house. This is not the first time Stefano Ricci has dabbled in the world of cigars. The company currently sells a lighter and cutter set made with crocodile leather for 2,200 euros, or roughly $2,500.